Shah Rukh Khan, Deepika Padukone and Sonakshi Sinha’s ‘money shot’ pic is unmissable! New Delhi: The who's who of the entertainment industry made their starry presence felt at the recently held Filmfare Glamour and Style Awards 2019. The night saw some of the Bollywood's biggest stars dressed in their best attires. A-listers like Shah Rukh Khan, Deepika Padukone, Karisma Kapoor, Vicky Kaushal, Ayushmann Khurrana, Janhvi Kapoor, Shahid Kapoor, Sonam Kapoor among various others were seen at the do. The trio looked stunningly stylish and the picture certainly calls for a freeze frame! Some even took home the coveted style awards. Celebs such as Janhvi Kapoor got the Emerging Face of Fashion (Female) award while Ishaan Khatter bagged the 'Emerging Face of Fashion (Male) trophy. Hotstepper of the Year was Vicky Kaushal and Clutter Breaker of the Year went to Ayushmann Khurrana. The Trailblazer of Fashion was Bollywood stunner Karisma Kapoor and the Most Stylish Musician went to Punjabi heartthrob Diljit Dosanjh. The Timeless Beauty award went to Kajol while Risk-taker of the Year was given to Sonakshi Sinha. The Most Glamorous Star (Male) went to Shah Rukh Khan and Deepika Padukone took home the Most Glamorous Star (Female) award. Shah Rukh Khan, Deepika Padukone and Sonakshi Sinha's 'money shot' pic is unmissable! 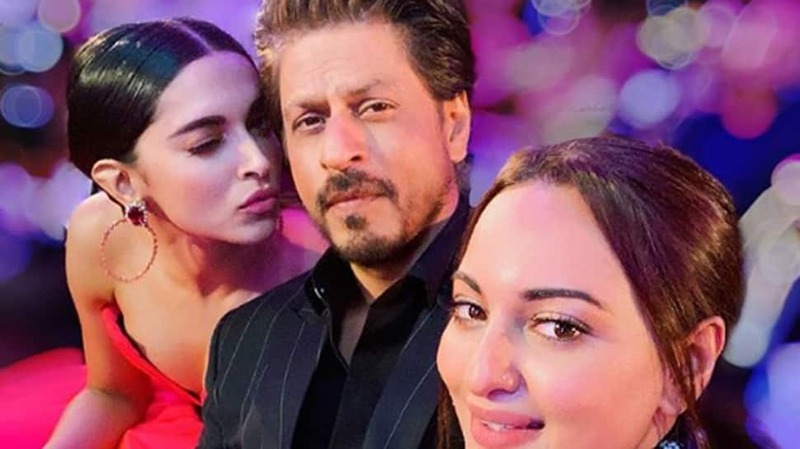 SRK, Deepika Padukone and Sonakshi Sinha's 'money shot' pic is unmissable!